We took advantage of an offer from Fry’s food store for free entry to the Arizona State Fair yesterday. In previous years we visited on a Saturday so I wasn’t aware of the later opening time on a weekday. This year’s theme, “Share Something AmAZing,” was fitting for our visit. We started in the Coliseum where we wandered about the Fine Art exhibits and stood in awe at the exceptional Photography on display. A special exhibit in the Coliseum was “Sweet: A Tasty Journey.” I took note of the contributions of the following entrepreneurs: Franklin C. Mars, John Cadbury, and William Wrigley, Jr. With the later entry, we had lunch before entering the grounds. I am always amazed at fair food, and their prices. For example, a turkey leg might cost $12.50 and a bacon wrapped turkey leg goes for $20! “Taste of the Fair,” however, offers advertised treats from each vendor from 12-6 p.m. for only $2. We took advantage of this offer with 1 scoop of pumpkin gelato and another of mango from the Gelato Spot. We sat in the Grandstand Arena for much of the All-Indian Rodeo. After our dude ranch experience this past summer, we had a greater appreciation for the events and the horsemanship. Sadly, one of the riders (whose picture while riding I posted on Flickr) broke his leg on falling from his bucking bronco. Pain management is one of the main offerings by assorted vendors in the Commercial Building along with clothing items and other miscellaneous goods. In the Agriculture Center, the Llama Drama featured a blue-eyed llama who looked directly at me. We watched some of the ewe competition in the arena and two sheep being sheared nearby. The Midway is always interesting. 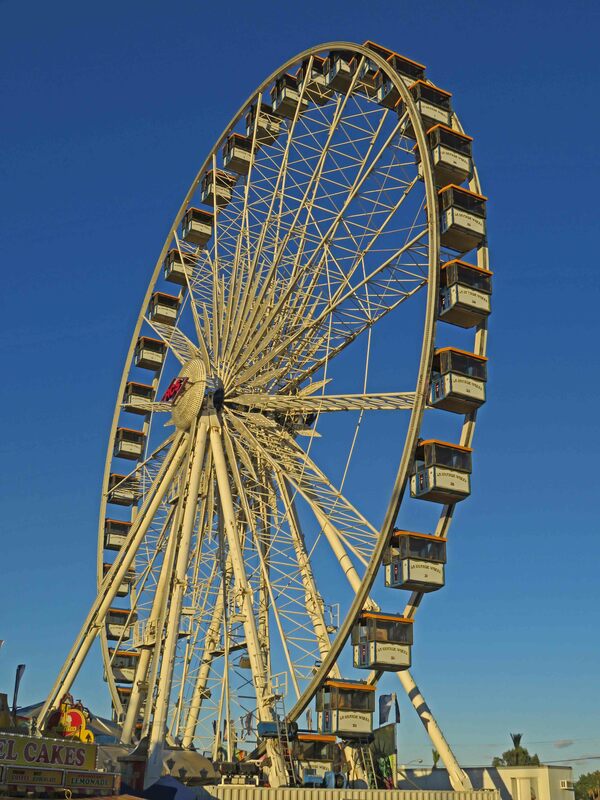 The La Grande Wheel, caught me eye, although we did not board this ferris wheel. The Rave Wave sent riders backward at ever increasing speeds and eventually they were covered with a tarp as they reached warp speed. Truly, it was an amAZing day! Yesterday I learned about an oasis in Phoenix when we arrived at the parking lot for the State Fair shortly before 10 a.m. only to learn that it opens at noon on weekdays. Rather than drive home and return later we visited the nearby Encanto Park. This 222-acre oasis has numerous picnic areas, a lagoon, boat house, nature trail, urban fishing, a sport complex for tennis and two golf courses. A clubhouse can be rented for special events.The ducks are so accustomed to humans feeding them that they dashed toward me when I stooped to ground level for a photo. Two geese approached me and started pecking at my feet. We circled around the water and found ourselves entrapped inside the golf course. The gates by our parked car were locked so we swung around the end of the fence overhanging the canal. By the way, “encanto” is the Spanish word for “enchanted.” We could see that some of the rides in the Enchanted Island Amusement Park were in operation. 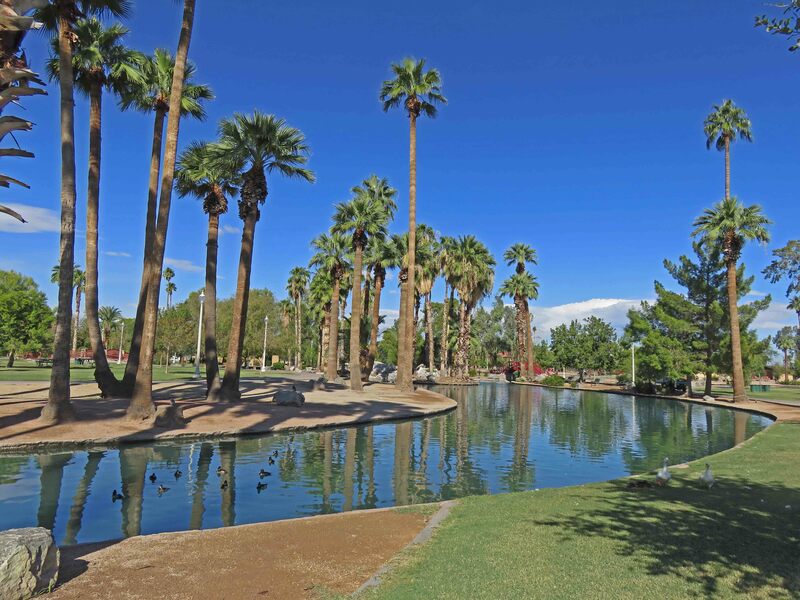 Encanto Park is a remarkable park for the city of Phoenix. “Spruce Mountain West” is the name assigned by this year’s “Take a Hike!” folks. We had not previously attempted this hike fearing the length (at least 8.7 miles) and elevation change. However, we have previously parked and walked across the street to hike the Horse Camp Loop Trail #383. For today’s hike we started clockwise on the Groom Creek Loop Trail #307. After climbing from 6,430 feet to 6,730 feet in about 1.3 miles, we continued for 0.9 mile on Forest Road 78 before reconnecting with Trail #307 for the final 1.8 miles. We noted several woodpiles waiting to be burned on the first segment of the trail. Shortly before returning to the parking lot we encountered three deer. Although a 4 mile hike is getting a bit long for us, we were glad to discover this trail. 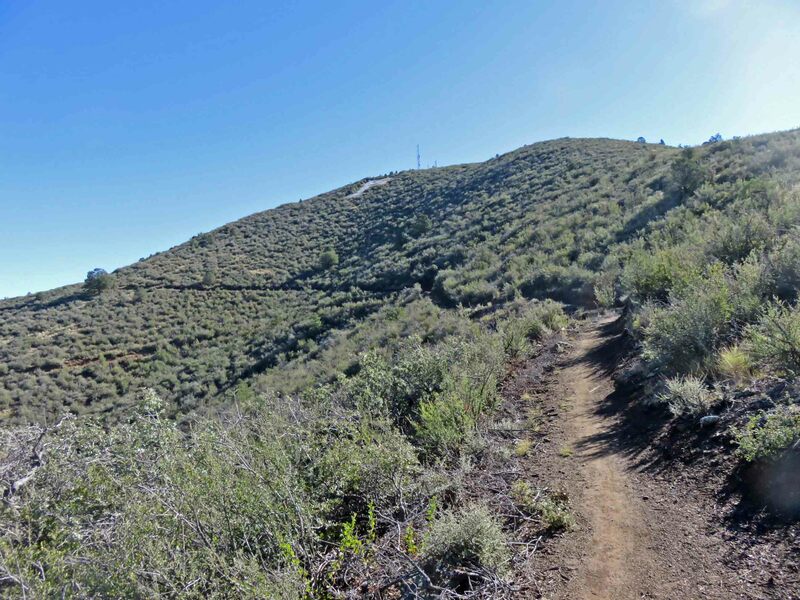 The Badger “P” Mountain Trail was completed earlier this year and marks the last significant section of the 50 mile Prescott Circle Trail. Yesterday we hiked about 1.5 miles (almost 3 miles round-trip)) of this 4.9 mile segment. The Trailhead from the Turley Trail is 5,690 feet and rises to 6,050 feet. 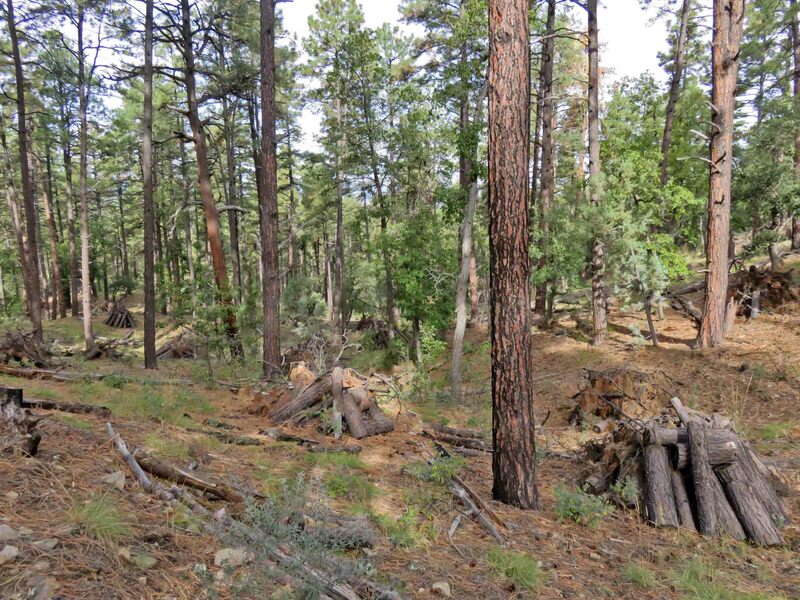 We found ourselves above the Frontier Village Center and Highway 69 with views of the City of Prescott, Thumb Butte, Granite Mountain, The Dells, and even the snow-peaked San Francisco Peaks. Earlier this fall we had started this trail, but turned back before a rain. We enjoyed better weather this time. While on Kaua’i we stayed in a Waimea Plantation cottage. What is now a resort started as houses built as part of a sugar plantation from 1880 to the 1940s. We were pleased to discover how well equipped our kitchenette was and that we could borrow a barbecue. Captain James Cook landed at the mouth of the Waimea River in 1978 and was treated as their god Lano. This was his third expedition and his command of the HMS Resolution and the Discovery included scientists, artists, and cultural observers. They were surprised to learn that the locals spoke Tahitian. Cook was killed a year later in a skirmish on the island of Hawaii. 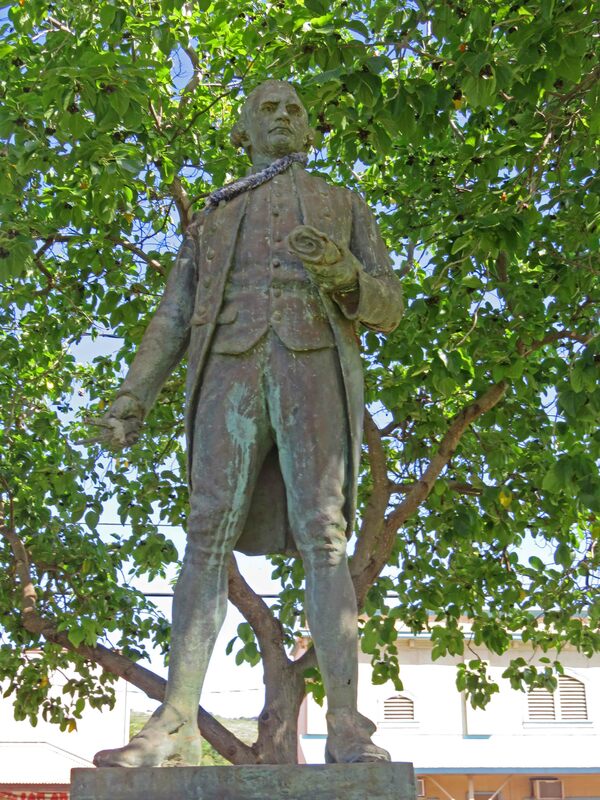 A statue of Cook is located in the center of Waimea which was the island’s capital for many years. The whaling industry made use of the port from 1819-1871. In 1850 500 whaling ships wintered here. On our final day on the Garden Isle we visited the Russian Fort. Its official name was actually Fort Elizabeth and it was the headquarters for the Russian-American Trading Company from 1815-17. Now rock rubble, originally it is said to have stood 12 feet high and 300 feet in diameter. 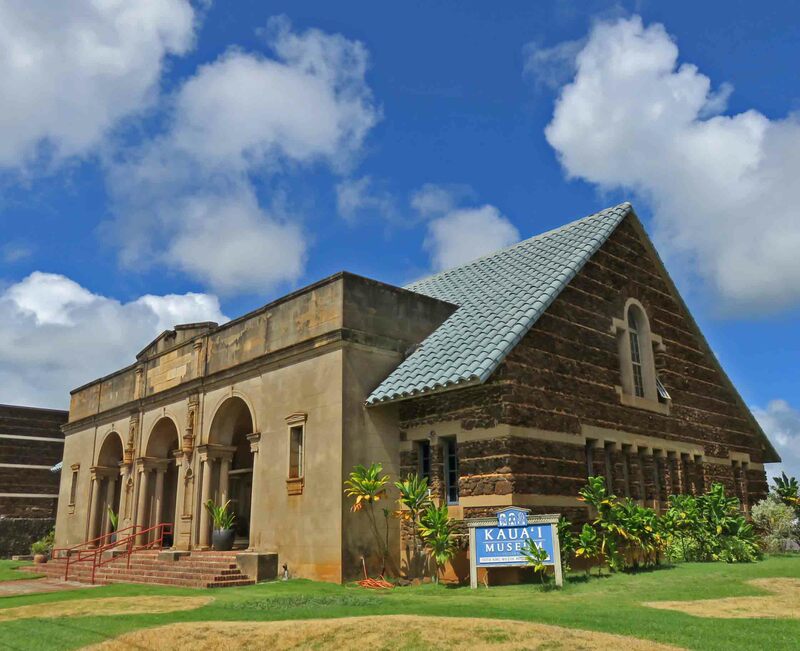 It is located at the mouth of the Kaumuali’i River. We also stopped at Salt Pond Park where there is a nice beach and lifeguard station. Although there were no informational signs, we noted what we believe to be the nearby salt pond. Important agricultural products in earlier years include both rice and sugar. We stopped at Kaua’i Coffee which is located near Kalāheo. They have a self-guided tour, informational video, and small coffee museum. In Līhu’e we visited the Kaua’i Museum. It was interesting to learn more about the original people inhabiting this island, the early settlers, and more recent developments. We had enough time before we needed to return our rental car to visit the Nawiliwili Harbor. A huge cruise ship was in port and brought back memories of my own cruise trip experience around the islands. American Airlines offers a direct flight from Līhu’e to Phoenix. Unfortunately, in order for us to take advantage of our United Airlines points, we needed to fly to first to Honolulu then Houston before finally catching a flight to Phoenix. After a fun-filled nine nights on O’ahu and Kaua’i, we had a long day before arriving back home. Yesterday we took a Holo Holo Cruise that first took us past the island of Ni’ihau and then anchored for snorkeling off Lehua, a small, crescent shaped island. This 284-acre tuff cone with an elevation of 704 feet is part of the remains of the extinct Ni’ihau volcano. One of our passengers launched a drone which probably captured some interesting views. 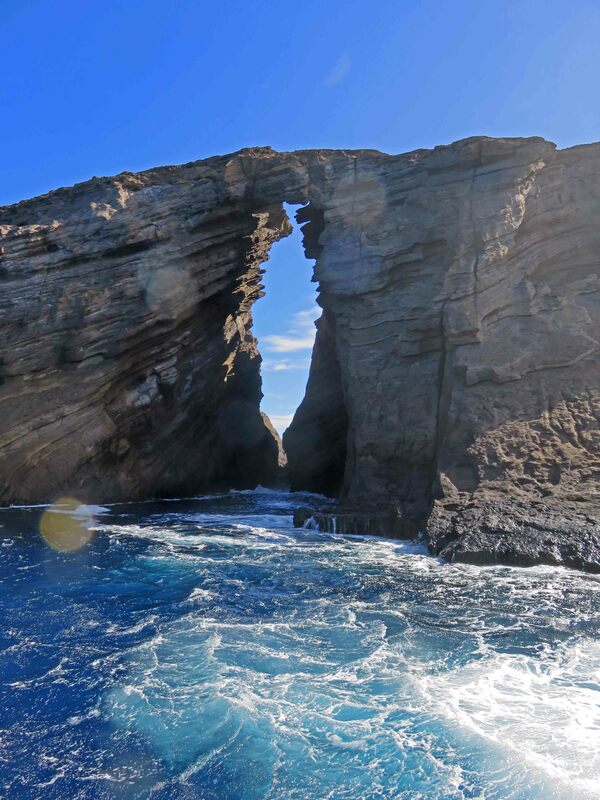 As we sailed around the island we observed the “keyhole,” an unusual geological formation. The far side of the island also has a huge crater, and rough water. We then made our way to the Nāpali Coast. The catamaran allowed us to get close to the sea caves, waterfalls, and beaches along the 16 miles of Kaua’i’s northwest coastline with its shear cliffs rising 4,000 feet. On our return trip to Port Allen we encountered a school of Pacific spinner dolphins. The high speed, bumpy ride took its toll on me, but the opportunity to snorkel off Lehua and the close contact with the Nāpali Coast made the trip worthwhile.